The good news is that YouTube and other online resources have plenty of How-Tos and well-made videos that demonstrate how to fix everything under the sun. Residential garage doors are included in this mix. However, we highly advise that you leave garage door installation to the pros. Garage doors are heavy and cumbersome. In addition to risking your own personal safety, one slip, drop, or unwieldy movement can yield your new garage door kit unusable, and you’ll be stuck having to fork out the money for another one. Also, it’s important to note that many garage door warranties are written such that DIY work isn’t covered. Read your garage door manual carefully before moving forward with DIY repairs or replacement. There’s a chance that by not using a licensed, garage door professional will mean you’re out of luck down the road – even if you did the job correctly and the garage door error or malfunction isn’t your fault. Safety is the top priority, so never be cavalier. Read the garage kit instructions carefully and watch a video a few times before attempting it on your own. Also, always work with a buddy or two. Garage doors should never be installed by yourself. We’ve been called in more times than we like to count to rescue homeowners who have experienced traumatic injuries and/or property damage as a result of their good intentions. Always prioritize safety first! Establish the age and condition of the current door. Older garage doors can weigh as much as 450 lbs. When you consider their weight and breadth, combined with old and/or malfunctioning hardware, you need to be exceedingly careful when removing the old door. Identify which type of spring you’re dealing with – torsion or extension. The former are the safest and easiest to disconnect. Extension springs can be extremely dangerous, especially if they don’t have a cable installed. Consider hiring a professional to at least release your spring for you. 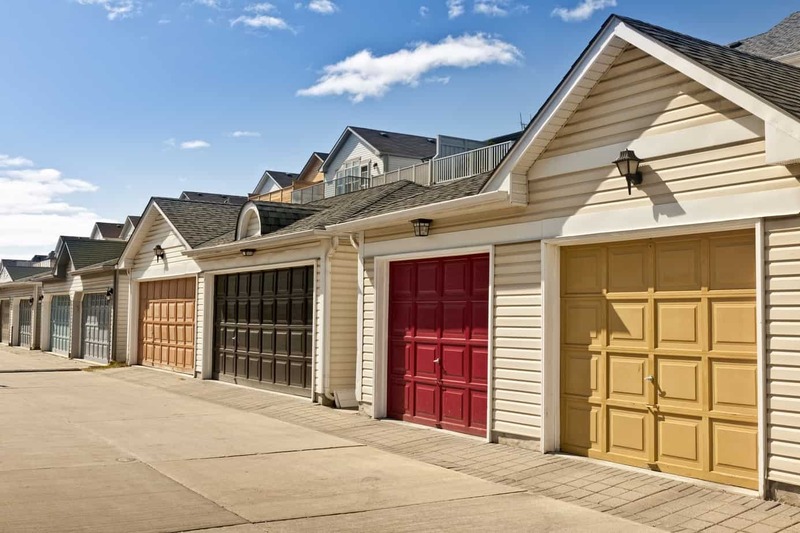 Look for garage doors with modern safety features. One of the best things you can do to protect yourself and your family from garage door injuries is to replace your old door with a high-end model with built-in safety features. These include things like light-weight doors (no more than 200 lbs. ), pinch resistant section designs to prevent pinched fingers or arms (these injuries can even lead to amputation in older doors), containment cables that run through springs and prevent the deadly whip effect of a sprung spring, or automatic door operators that reverse if something is in the way or at the first sign of resistance. Replace the hardware as well as the door. As long as you are replacing a new door, you might as well replace all the parts so the entire system is new. This will ensure the door works efficiently and quietly and will extend the amount of time until you’ll need to be up on your stepladder again for another repair or parts replacement. Install new weather stripping. Once the door is replaced, install new weather stripping to improve the door’s seal. In addition to keeping your garage cleaner and free of moisture that can cause parts corrosion over time, you’ll notice that a well-sealed garage door can reduce the amount of money you spend on heating and cooling the interior of your home. Hire professionals to release torsion tension. Again, garage door springs are not to be taken lightly. If you install a door that has torsion springs located over the door, it is well worth the nominal fee (usually around $50 or so) to have a professional garage door technician come by to release and/or adjust the tension. Not sure garage door replacement is the best DIY task for you? 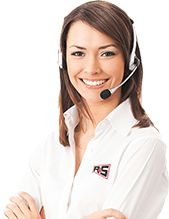 Contact R&S and we’ll be happy to send someone out to do the job for you. (925) 671-7606.